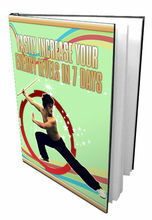 "Grab This Motivational Reading Audio Product Right Now And Unlock The Secrets To Achieving Success With Audio!" Do you have this sinking feeling that no matter what you do or how hard you try, you will always wind up falling short when trying to achieve changing things in your life, your positive mindset and achieving success? "Not Only Do Most People Fail Miserably In Changing Their Life And Positive Outlook, They Have No Idea About Using Motivational Tools..."
The majority of the world do not know about using motivational stories. This is a sad fact and you may be one of them. Please don't get worked up when I say this because this is just a realistic look at it. The reason why I say this is because most people think they are doing great in life and achieving success and and a positive mindset - unfortunately they subconsciously don't have the correct tools! So what does this have to do with getting results and accomplishing success in your life and developing a positive mindset? 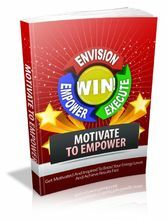 Only when you truly know about using motivational stories correctly and have the correct tools, will you have really strong, unstoppable power when it comes to accomplishing change. "You Need To Know About How Motivational Tools Affect You, But Without The Right Tools (Audio and Stories) You Won't Get Very Far..."
Perhaps they feel that hunting down audio and stories is inconvenient and haven't discovered how to use a program correctly. At the end of the day, you realize that not only is it important to learn about motivational tools and use audio aids, but you don't have the right tools to keep you going. You can only try to do it alone so much before you get exhausted. 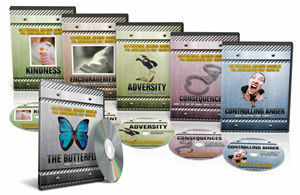 "What If You Had And Could Provide The Exact Tools Necessary To Rewire Positive Outlook And Begin Getting TRUE Results With The Ease Of Audio?" You will never find a more complete motivational reading product anyplace else. * A motivational story about how sometimes struggles are precisely what we need in our lives. * A motivational story about how something that appears appeared like it will bury you, can actually end up blessing you! * A motivational story about how things occur around us and things happen to us, but the sole thing that truly matters is what occurs inside us. * A motivational story about how you need to control your temper the next time you're tempted to say something you'll regret later. * A motivational story about encouraging others! * A motivational story about how you need to be kind as you never realize the thoughts of others!